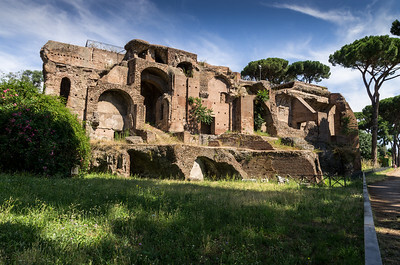 The forum was the centre of political, commercial and judicial life in ancient Rome. 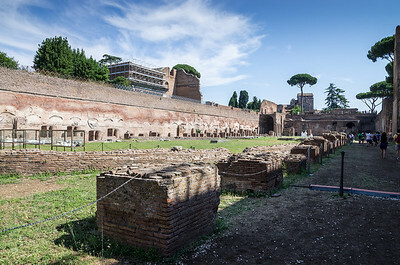 The largest buildings were the basilicas, where legal cases were heard. According to the playwright Plautus, the area teemed whit "lawyers and litigants, bankers and brokers, shopkeepers and strumpets, good-for- nothings waiting for a tip from the rich". 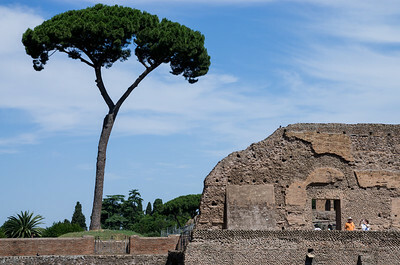 As Rome's population boomed, the forum became too small. 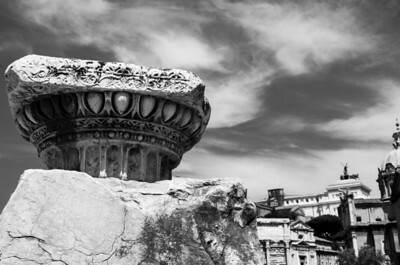 In 46 BC Julius Caesar built a new one, setting a precedent that was followed by emperors from Augustus to Trajan. 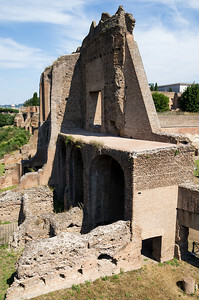 As well as the Imperial Forum, emperos also erected triumphal arches to themselves, and just to the east Vespasian built the Colosseum, centre of entertainment after the business of the day. 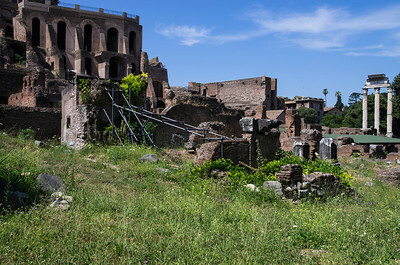 Foro was the name that the Romans gave to the central square of the urban settlement and we must try to imagine this busy, crowded place as the pulsing centre of a modern city. 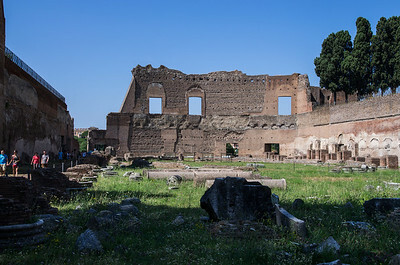 Here the masses would flock to see the meetings of the orators, attend criminal trials and discuss internal politics or the latest military campaigns, or quite simply to comment on the games or running races (an activity that the Romans particularly enjoyed). 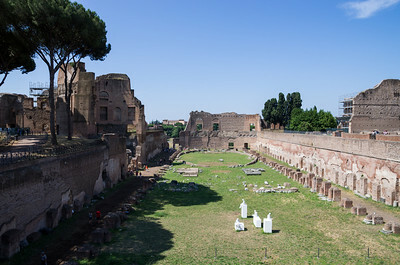 Today, the forum known as the Forum Romanum can look like a disorderly collection of ruins to the uninitiated, but with some imagination you can see the Roman Empire come back to life at this site. 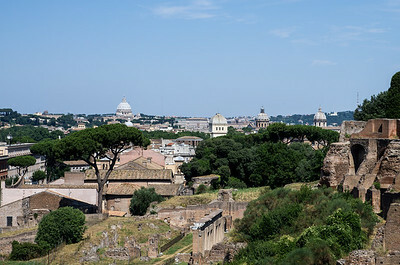 Remains of many buildings from different periods are visible; the forum was littered with temples, basilicas and triumphal arches.